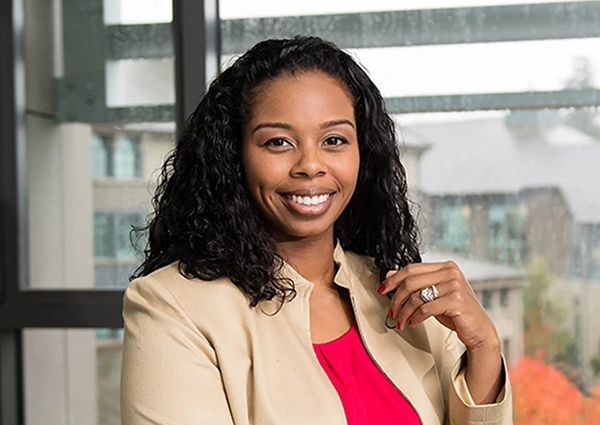 "I chose the Executive MBA program, because the three-day block of classes every three-weeks format allowed me to be a working manager who travels and spend time with my three kids at home." "Sproul Plaza because I can always connect with many students and visitors in one location. It is also a great place to survey people when you are doing primary research for your EMBA classes." "Prioritize the social gatherings with your classmates. Ten years after the program you won’t remember what the formula for the dividend discount model is, but you will remember how your classmates made you feel during the program." "I've always been passionate about the Technology and Entertainment sectors of business, and my current field of interactive entertainment (e.g., video gaming) is a blend of those two industries. The field has experienced tremendous growth in the last ten years, and I want to lead the next frontier of this industry. " "It's important to me to make good decisions in shaping the future in gaming, because when I think about my children playing the video games of tomorrow, I want the strategy I implement to have a positive impact on them and our community." "There are so few women developing games; based on the data reported on the internet, you're looking at about 10% if not less. It's important to me to be in this sector, making decisions and helping to shape the industry, because I want to ensure all our diverse consumers of entertainment have a voice and are well-served by our products. I also want my children to have access to games that represent all demographics and positively impact their well-being. " "I started my career as a software engineer and transferred to consulting and then to entrepreneurship through the founding of my own company. Prior to the EMBA program, I often wondered when I was an entrepreneur, "If I'd had an MBA when I began my company, would I have been Elon Musk? Would things have gone differently?" "That curiosity drove me to evaluate and then ultimately pursue an MBA. I wanted to know what better outcomes I could have achieved, and more importantly, once I have my MBA, what can I change going forward?" "I’ve been in general management for over ten years and most of my expertise has come from hands-on experience. I understood application and implementation, but had gaps in theories and frameworks. Now I can instantly apply lessons from class to navigate the complex process behind making sound business decisions. Moreover, before Haas, I had no foundation in finance. Now I am more confident in preparing a new business venture idea and pitching it to venture capitalists for funding." "Every day I use the EMBA program as my very own laboratory to experiment on management techniques and fine-tune my leadership skills with my classmates. The return on investment goes beyond monetary value and opens a new set of trusted relationships that are priceless." "I reviewed all three MBA programs at BerkeleyHaas before applying. In the end, I chose the Executive MBA program, because the three-day block of classes every three-weeks format allowed me to be a working manager who travels and spend time with my three kids at home. I was also excited to see a residency program that allowed me to stay in the hotel during block and bond with my classmates during the week we have class." "I looked at other programs around the country and thought BerkeleyHaas was really the only place for me. What really narrowed it down for me was the breadth and diversity of the cohort and alumni. I knew at Berkeley my network would be global and far-reaching when I applied, but I was truly impressed when I started my program." Ready to start your journey? Learn more about applying. Sign up to receive admissions event invitations, news and information. Join us on campus to get a true taste of the Berkeley Haas experience. Wondering if Haas is right for you? Attend an upcoming event in your area.